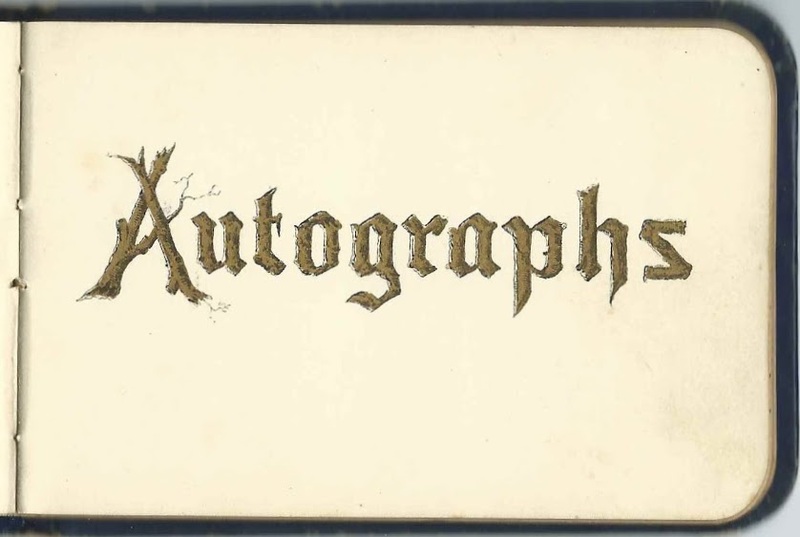 1880s autograph album that belonged to George Tygart of Broadalbin, New York. Although there were several George Tygarts in the area, I believe this George was George H. Tygart, based on the pages signed by siblings Annie, Minnie and John. 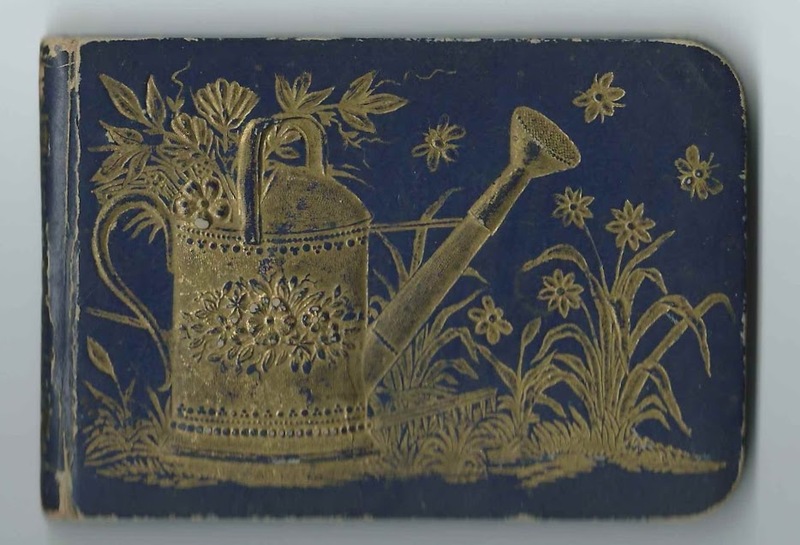 The album is a small one, measuring about 4-1/2" x 2-3/4" and contains the sentiments of 22 of George's relatives, friends and schoolmates. An alphabetical surname list and an alphabetical list of the signers, together with any personal information they offered, appear at the end of this post. 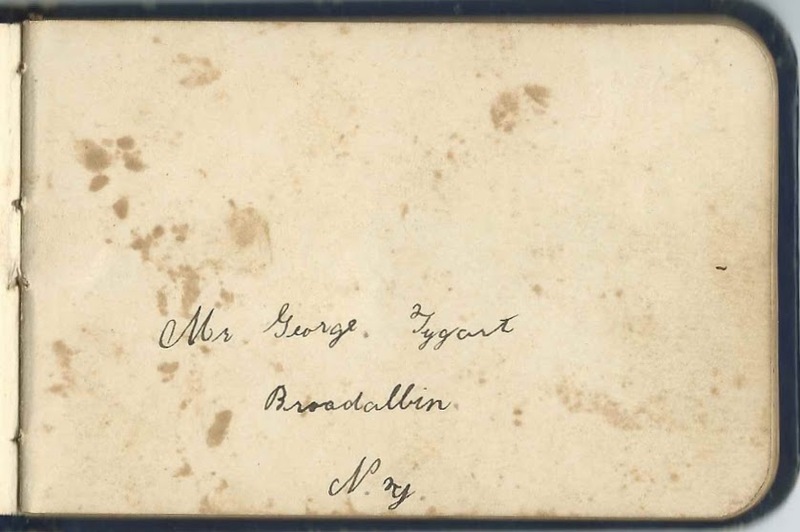 As noted above, I believe this George was the George H. Tygart born in July 1867 to Alexander Tygart and Alphel Folly (Sherman) Tygart, "Elfa". He had three siblings, Annie, Minnie and John, all of whom signed pages in his album, also as noted above. 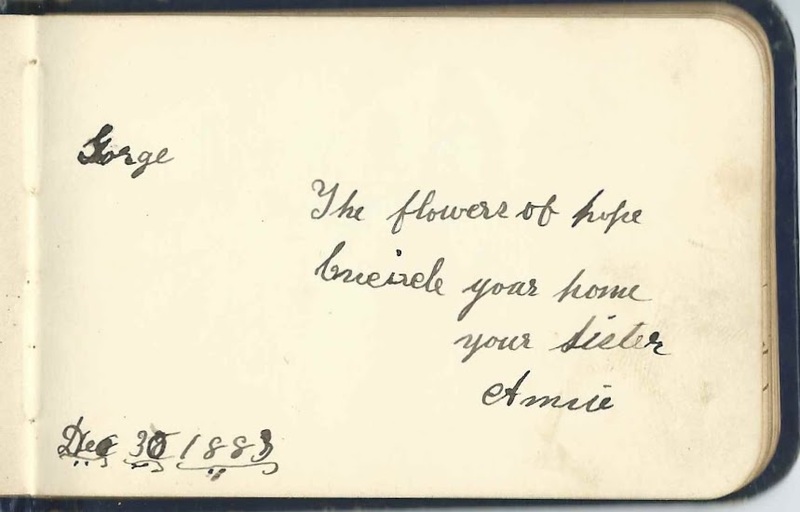 Annie inscribed a page on December 30, 1883. Minnie inscribed a page on the same day, December 30, 1883. 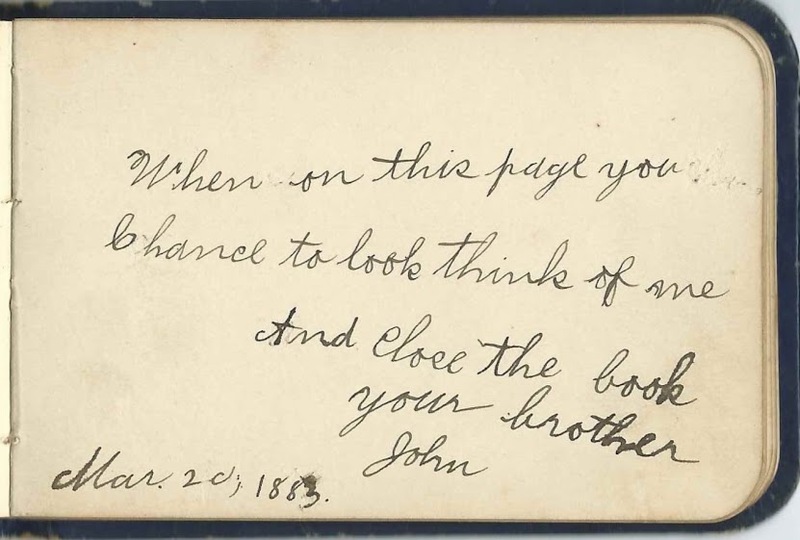 Brother John Tygart signed his page earlier, on March 20, 1883. About 1892, George H. Tygart married Alice J. Mosher, daughter of Samuel and Almina (Waite) Mosher. She was born in October of 1868 at Providence, New York. The new couple farmed at Galway, New York, and raised at least two children, daughters Julia May Tygart and Ruby E. Tygart. George died in 1954; Alice had predeceased him in 1942. Smith Demarest of Broadalbin, New York, signed on March 16, 1884. His mother, Adaline (Smith) Demarest, signed the right facing page as Mrs. G. W. Demarest, wife of George W. Demarest. Mrs. G. W. Demarest. She was Adaline (Smith) Demarest, wife of George W. Demarest. Her son Smith Demarest signed the left facing page. 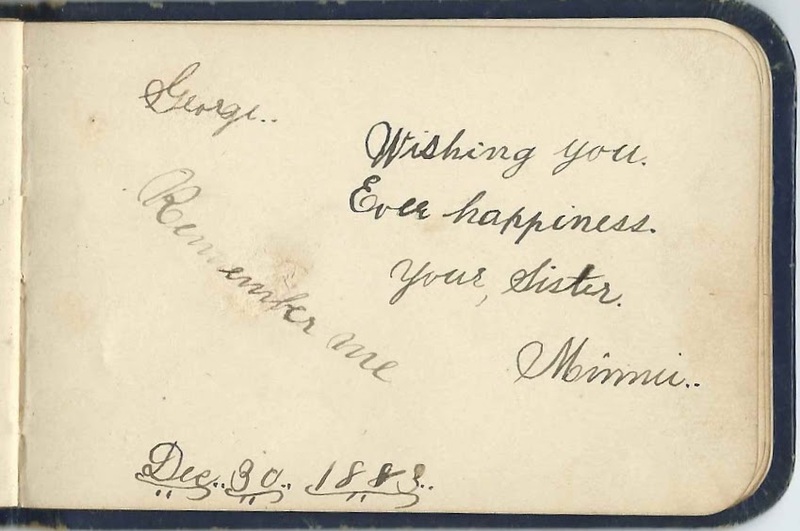 "Your sister Minnie, signed on December 30, 1883. George's younger sister Minnie Tygart.